321 Gerard Drive, East Hampton, NY 11937 | Sotheby's International Realty, Inc.
3 Bedrooms2 Full Baths1,650 sq. ft.
Light and airy renovated 3 bedroom and 2 bathroom contemporary beach casita overlooking Gardiners Bay. An open plan kitchen and living area opens to a large mahogany deck that spans the east-facing length of the house. The private master bedroom has an ensuite bathroom with soaking tub and stall shower. The 2 guest rooms are connected by a shared bathroom. A west facing patio is equipped with an outdoor grill. 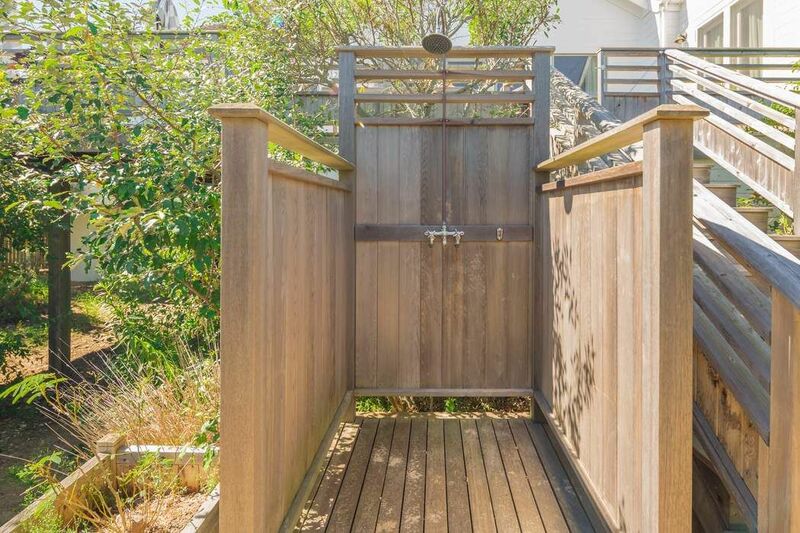 Updated appliances and bathrooms, ample storage for beach equipment and a massive beach front back yard make this steps-from-the-bay home the perfect retreat to escape to.